Hell0 – my name is Nicki and I’m a craftoholic. Obviously, for an addict like me, her magazine was a huge source of inspiration, and continues to be! 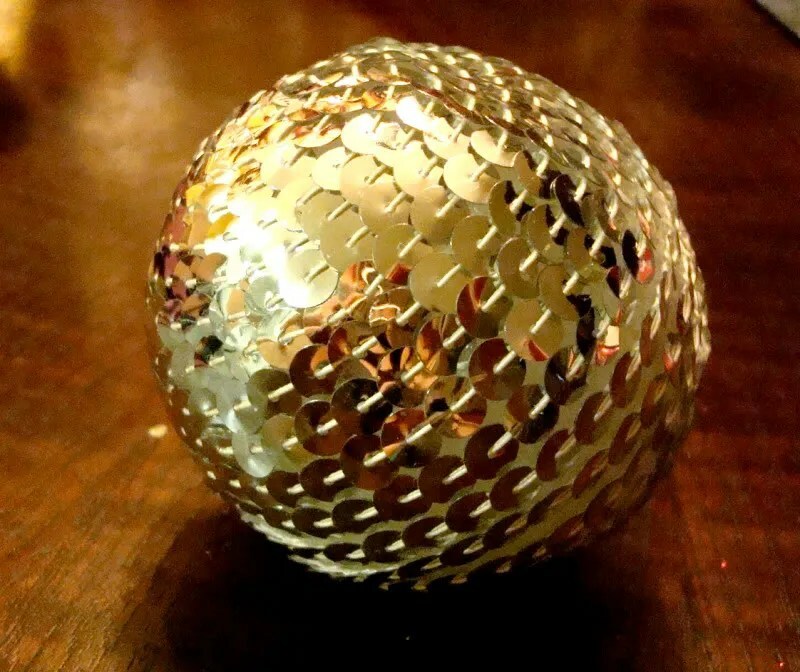 This holiday season, it was the sequined balls that got me…. 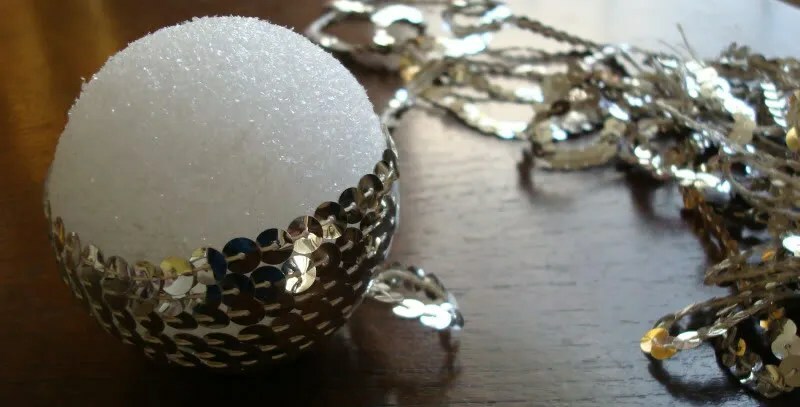 and don’t ya know… I just happen to have some styrofoam balls (bought at a garage sale in case the kids needed them for a science project) and a bag full of sequin strings (I think I got these at an estate sale…) Well, you KNOW I just had to…. I already had the stuff! Sure, the kitchen had things that needed to be put away… yes, my bathroom was kind of a mess…. but when you ALREADY have the stuff on hand…. you just HAVE TO!